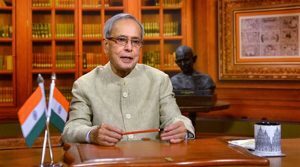 Indian President Pranab Mukherjee has congratulated Bangladesh PM Sheikh Hasina on her becoming Prime Minister of Bangladesh for third terms. Mukherjee called Hasina up on Monday evening, the Prime Minister’s Special Assistant (media) Mahbubul Hoque Shakil told bdnews24.com. “India-Bangladesh friendship will be strengthened. The Prime Minister of the new government will take the battle against hunger, poverty and illiteracy in this region further,” Shakil quoted the Indian President as telling Hasina. Mukherjee also greeted the people of Bangladesh. Hasina’s Awami League won a landslide in the Jan 5 parliamentary polls boycotted by the BNP and its 17 allies. The new Cabinet comprising 29 ministers, 17 state ministers and two deputy ministers was sworn in on Sunday. Indian Prime Minister Manmohan Singh had called Hasina minutes later to congratulate her. India’s Opposition Leader Lal Krishna Advani, too, congratulated Hasina over telephone on Monday on her assuming office for the third time in two decades. Meanwhile, China has also hailed Hasina in a message sent on Monday. 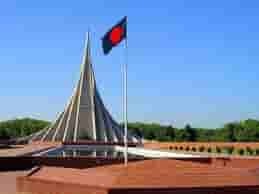 However, the United States did not find the recently concluded polls ‘very convincing’ as its Ambassador in Dhaka Dan Mozena said the US was looking forward to fresh elections. After the 49-member Cabinet was sworn in, Mozena had told journalists at the Bangabhaban that his country would continue supporting Bangladesh on its way forward. Senior officials in Delhi made it clear last year that they were not on the same page with Washington on Bangladesh. The ‘difference’ was said to be at the root of the US-India diplomatic row that had started last month when the US State Department cleared the arrest of Indian deputy consul in New York Devyani Khobragade on visa fraud charges. An official of India’s Ministry of External Affairs had said the US was “very upset” with Delhi’s position on Bangladesh. Meanwhile, a day before the new government took office in Bangladesh, Russia backed the Awami League and the Jan 5 elections and said it will “engage in constructive partnership” with the new government. Russia’s support came after India had clearly stated that the Jan 5 election was a constitutional necessity. The BNP and its allies did not contest the general elections resulting in more than half of the seats returning winners without a contest. Hasina’s party, the Awami League, and her bitter political rival Khaleda Zia-led BNP are still no nearer an agreement on the nature of the polls-time dispensation. A ‘multi-party’ interim Cabinet was formed to supervise the 10th general elections but the BNP kept pushing for a non-party caretaker government. The provision for a non-party polls-time government was scrapped through the 15th constitutional amendment in 2011. Soon after the elections, the US in a statement had asked the two parties to engage in dialogue to find an agreed way of holding elections “as soon as possible”.